I’ve been meaning to get a chance to read one of Sanderson’s novels and the holidays provided such an opportunity. The author intrigued me – given he was chosen with the daunting task of finishing Robert Jordan’s Wheel of Time series. I had also heard a number of wonderful things about his Mistborn series. 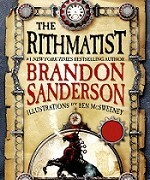 But given my limited schedule, I wanted to start off with a relatively new work of his – The Rithmatist. 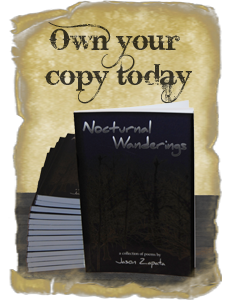 The story is set in an alternate past/world. America is a collection of island states, discovered by the Europeans, and named the United Isles. Clockwork mechanisms power the devices of the world. I’m not sure you can say this is a steam punk themed novel given nothing seems to be powered by steam. There’s also the presence of magic, which adds another layer to the story. Sanderson is known for his world building and I can see why. He deftly explains how Rithmatics involves infusing mathematical chalk drawings with magic. Ben McSweeney does any amazing job of illustrating the processes described by Sanderson. I found Rithmatics to be one of the more interesting and original forms of magic introduced in a fantasy novel. However, I’m not sure its presence meshed well with the “steam punk” world Sanderson had it inhabit. The characters are pretty generic. I didn’t come away with any strong impressions from the protagonist or his supporting cast. They’re likable enough and I enjoyed their interactions throughout the novel. Sanderson does a great job of avoiding familiar troupes and providing genuine adversity for his characters to overcome. This is a good read. The quasi-steam punk, 20th century world is intriguing. Sanderson’s Rithmatics is an evocative and imaginative form of magic. There are a number of mysteries set up throughout the novel that will have immense narrative impact and I can’t wait to see what Sanderson has his characters uncover them in the next outing. I give the Rithmatist a solid 8.0/10.00.